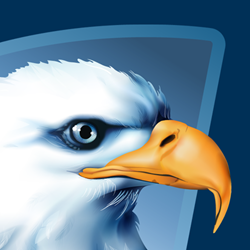 This year’s show will feature a smartphone app built specifically for the Chicago Auto Show by app developer, Americaneagle.com. Attendees are encouraged to download the Chicago Auto Show App for an entry to win a new 2016 Buick Encore. This year’s ChicagoAutoShow.com features expanded social media integration, historical videos and even more intense image galleries. In addition to the expanded website functionality, this year’s show will feature a smartphone app built specifically for the Chicago Auto Show by app developer, Americaneagle.com. Attendees are encouraged to download the Chicago Auto Show App for an entry to win a new 2016 Buick Encore. The Chicago Auto Show mobile app is designed to be the attendee’s digital show guide. This year’s app will feature an on-demand daily schedule of events, detailed map of show exhibits, comprehensive lists of vehicles on display, interactive videos, social media feeds with real-time news and updates and more. The app will connect to low energy Bluetooth beacons which are placed on the show floor designed to push content to attendees on demand creating a more interactive experience.